For Royal family weddings and events of business tycoons, event planners and wedding planners are always looking for unique and rare items (like decor elements, food dish and drinks etc.) to impress the attendees. For them, there is one more option provided by New York's Serendipity 3. They are known for creating some of the gorgeous desserts on the planet. 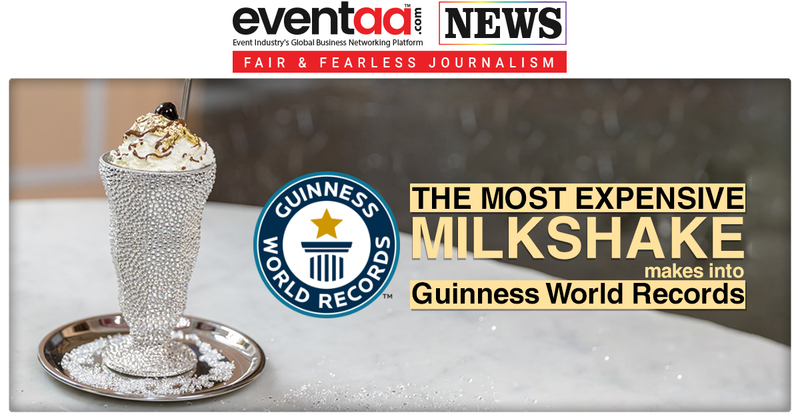 The latest innovation booked them in Guinness book of world record for 'the world's most expensive milkshake'. The premium ingredients that make this glass of milkshake $100 includes edible 23-karat gold, Jersey milk, luxury clotted cream, Tahitian vanilla ice cream, fresh Madagascar vanilla beans, Venezuelan cocoa and most unusual ingredient is caramel sauce prepared from fresh donkey milk. Also, the glass served you is adorned with over 3,000 Swarovski crystals.